DeSales University in the Philippines: Happy Feast Day! 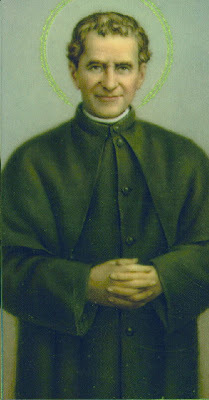 ST. JOHN (DON) BOSCO! Greetings from the DeSales University! We are one family in Christ. Happy Feastday, too, Dr. J.! 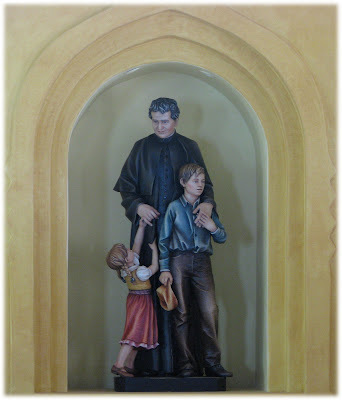 This statue of Don Bosco is rather contemporary - very seldom was DB portrayed also with girls. I wonder where this was taken. Fr. Charles, that's the DB statue in the chapel at Alabang, the Tuloy sa Don Bosco center there.